The app certainly looks very slick, with a simple colour scheme and massive calls-to-action to make it easy to navigate. Upon logging in you’re required to login or sign up for membership, with the lure of a monthly prize draw for £10,000 and cheap batteries used to sweeten the deal. Creating an account is a two-step process and only requires your email address, name and postal address – it even uses a postcode lookup tool to shorten the process. The functionality of the app is also extremely simple, with just three tabs to choose from. The homepage is the ‘Club’ screen, which displays a barcode that the customer needs to present to the cashier at the till in order to claim a discount. Then there is also a ‘Stores’ tab that uses GPS to show the location and details of all your local B&Q outlets, including a clickable telephone number and opening hours. If you click on the address details it opens Google Maps so you can access directions, but the B&Q app stays open in the background so you can return to it using the back button on your handset. The third and final tab is ‘Offers’, which is fairly self-explanatory and details all the promotional deals currently available from the app. At the moment these include 20% off bulbs and seeds, 20% of hanging baskets and three-for-two on smoke alarms, which is probably enough to lure me to one of its stores this weekend. The B&Q Club app is extremely limited in terms of functionality, which makes it the perfect mobile loyalty scheme in my opinion. The aim of the app is presumably to increase footfall in-store by offering discounts and deals, so there’s no need to overcomplicate it with unnecessary features that won’t be used. A recent consumer survey by Adobe found that the two features that people deem to be most important in a shopping app are money saving offers and the ability to locate physical stores, so the B&Q Club app caters perfectly to this customer need. The retailer is also incentivising people to download the app with massive cash prize draws and once people have the app on their phone B&Q can target them with push notification of new offers. I recently blogged about Debenhams’ use of push notifications, as they’re a great way of promoting offers to existing customers yet few retailers take advantage of them. The one downside to the B&Q app is that cashiers currently have to type in the barcode number as the retailer hasn’t yet installed scanners at its tills, but overall I still think this is an excellent app that should help to drive customer loyalty and footfall in-store. Designing attractive, usable mobile product pages is a fine art that many sites still struggle with. I feel that responsive design has been a brilliant agent for change in mobile design because it has forced people to strive for simplicity, as pages need to be usable across multiple devices. And with this in mind, I thought I’d highlight five of my favourite mobile product pages, with examples coming from apps as well as mobile sites. In all honesty the criteria for making the top five list are quite woolly, but essentially they’re the product pages that I think offer the best aesthetics and usability. Personally I like mobile sites to have giant images so I don’t have to squint, as well as massive buttons to make navigation easy. 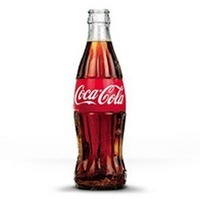 While putting together our recent series of posts looking at how major brands use the four main social networks I’ve somehow managed to overlook Coca-Cola, so today I have rectified that startling omission.